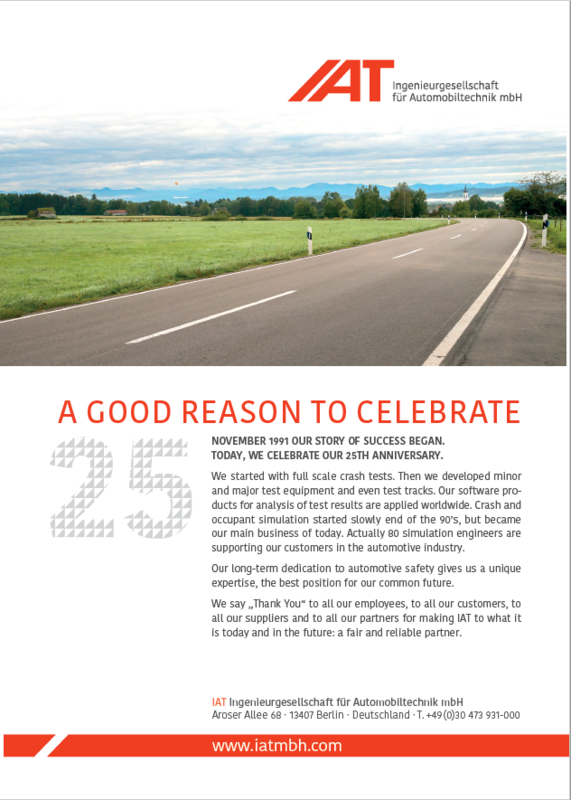 Since 1991, we supply engineering services in research and development of automotive safety. IAT is independent. The owners are the heads of the three divisions software, testing and simulation. With about 100 employees, we obtain an annual turnover of about 8 Mio €. IAT is a cooperation partner of the Berlin Technical University. In selected areas, we are working closely together with the university.